Janusz Brozek ran Broplan which was based in Gdansk, Poland at one time. I don't think they exist anymore. At least, I cannot find a web site for them anywhere on the net. However, there are a number of Broplan kits for sale on E-bay, but not this particular one. I got this kit years ago in trade with a modeler in Krakow, Poland. The PWS-10 was a Polish fighter aircraft, constructed in the PWS (Podlaska Wytwórnia Samolotów - Podlasie Aircraft Factory). It was the first Polish-designed fighter to enter serial production. First work on a domestic fighter to replace ill-fated French SPAD 61s in the Polish Air Force was initiated by PWS in 1927. Main designers were Aleksander Grzędzielski and Augustyn Zdaniewski. In 1929 the first prototype was built and it first flew in March 1930. At the same time, the more modern fighter PZL P.1 was developed by the PZL. Despite the P.1 being a more capable fighter, the War Ministry decided that it needed further work, and a series of 80 PWS-10 was ordered as a temporary measure. In comparison with the advanced P.1, the PWS-10 was a more classic design, a high-wing parasol monoplane of mixed construction. The series was built from 1931 to 1932, numbered from 5-1 to 5-80. Despite the P.1 being a more capable fighter, the War Ministry decided that it needed further work, and a series of 80 PWS-10 was ordered as a temporary measure. In comparison with the advanced P.1, the PWS-10 was a more classic design, a high-wing parasol monoplane of mixed construction. A variant of PWS-10 was a biplane PWS-15, being basically PWS-10 with another pair of wings. A single prototype was made in order to compare with a monoplane, on factory's own initiative. It first flew in spring of 1931. It offered better maneuverability and climb ratio with slightly lower maximum speed. PWS-15 was not produced and was soon broken up. 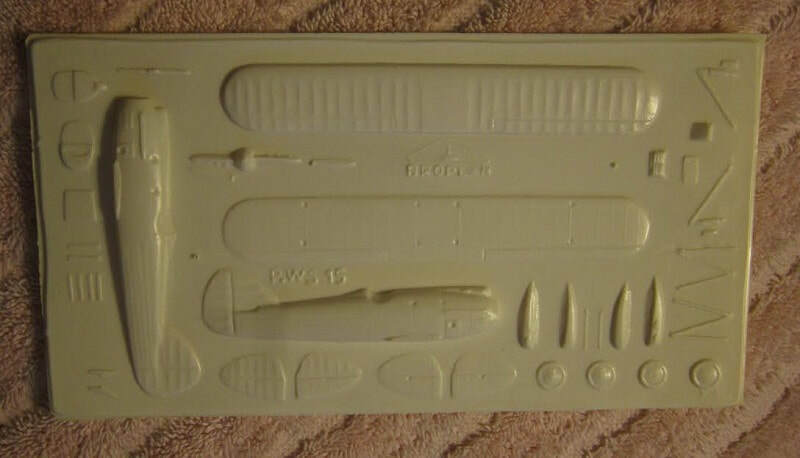 This is a vacuformed kit that comes in a clear cello bag held shut with a stapled on header card. The bag holds 2 white vacuformed sheets and the instructions. There are no clear parts for the windscreen and the instructions have a pattern to use to cut a windscreen out of thin clear plastic sheet that you may have. I have found that a good source of thin clear plastic is what is used in blister packs of some things. There are no decals in the kit either. The instructions show two illustrations of the aircraft and neither shows any markings at all. The instructions consist of a large 16 1/2" x 11 3/4" sheet that is folded three times to fit the bag. It is printed on one side. 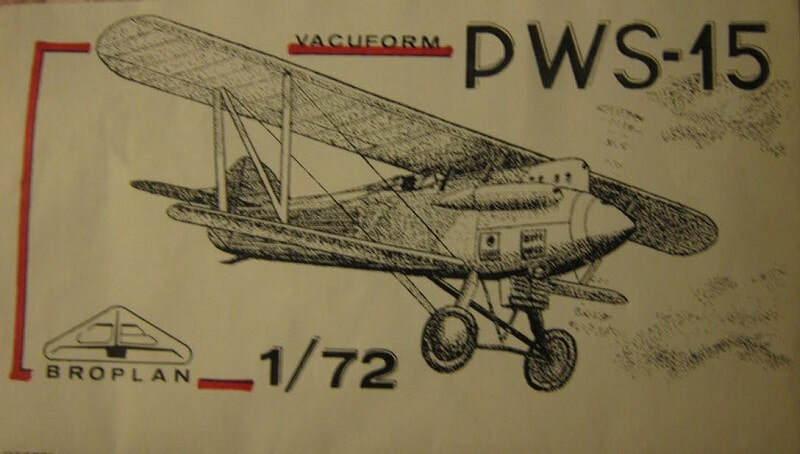 On the left side of the sheet is a black and white line drawing of a PWS-15 in flight over the history of the aircraft in Polish only and black and white box arts of other kits that Broplan manufactures: a PWS-10, PZL-38 "Wilk", PZL-46/1 "Sum" (Sheatfish) ,PZL-15 and a PZL-50/1 "Jastrzab" (Hawk). I assume these are all to 1/72nd scale ?? On the right side of the sheet is a 3-view line drawing over exploded drawings for assembly, illustrations of parts and the windscreen pattern to use to make a windscreen from thin clear plastic sheet. 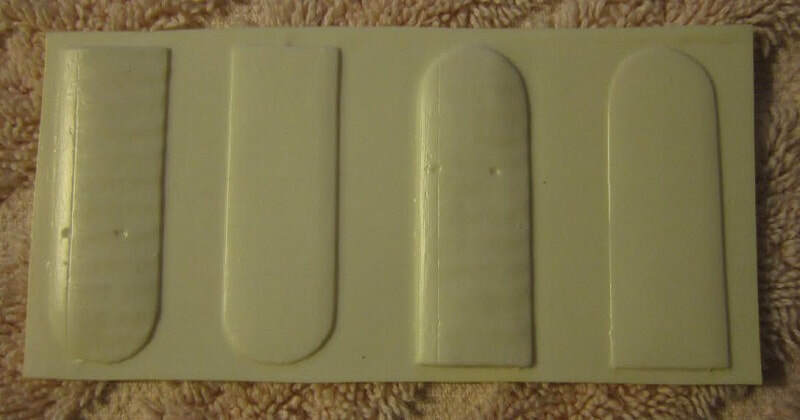 I have found that a good source for this type of sheet is that used in blister packs for some products. I am no great fan of vacuformed kits and this kit was totally unsolicited from the guy in Krakow. He just sent it and then expected a nice boxed kit in exchange. I turned him down and offered to return this kit to him. He told me just to keep it and some other Broplan kits he sent too. I cannot recommend this kit due to my prejudices about vacuform kits. I find that they are just too much work and then turn out rather poor at the end of building them. ​I am willing to sell it for a decent offer + postage. Detail on it is mediocre.